You've found the web site useful? Then get the book! 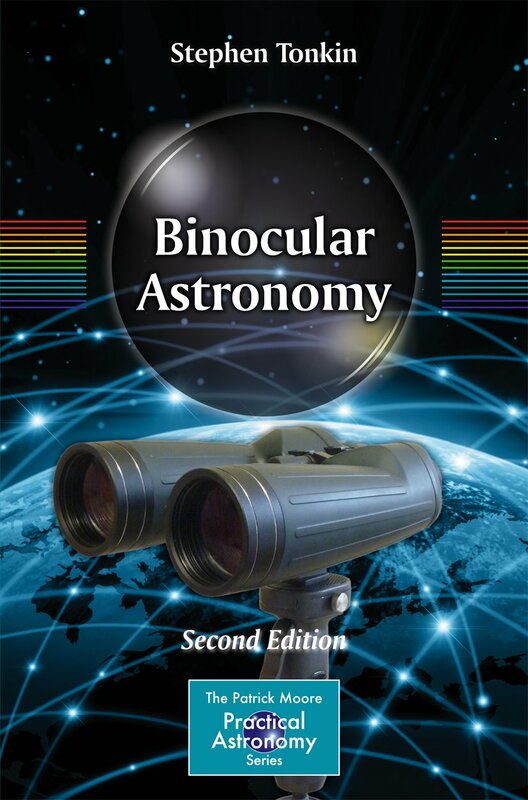 The Binocular Sky exists to help you get the best out of your astronomical binoculars. 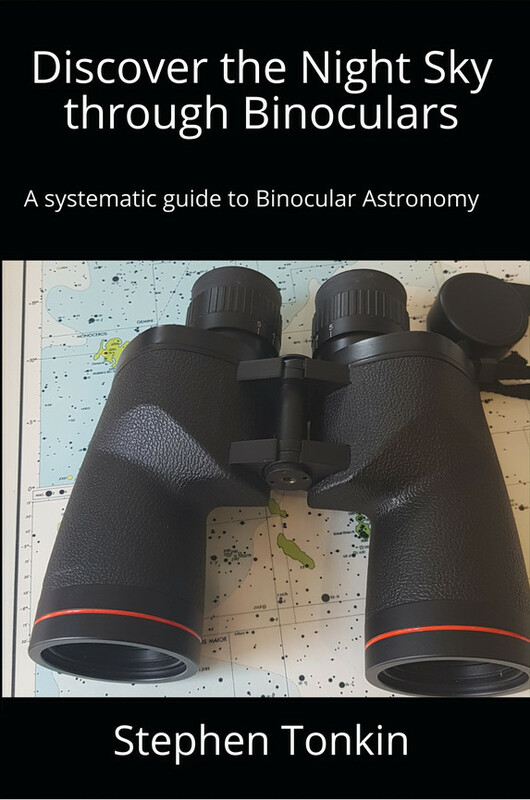 From understanding binocular basics, through choosing the binocular that is right for you, to suggestions of objects to observe, the Binocular Sky has it all. The Binocular Sky is frequently updated, to ensure that the information is current. I try to be very responsive to requests and suggestions from my readers. Please look around; if you like what you see, please tell others and/or link to it. If not, please tell me! Please also see my companion website for general astronomy, including courses and online tutorials, The Astronomical Unit. Stephen Tonkin is a participant in the Amazon EU Associates Programme, an affiliate advertising programme designed to provide a means for sites to earn advertising fees by advertising and linking to Amazon.co.uk. Stephen Tonkin is a participant in the Amazon Services LLC Associates Program, an affiliate advertising program designed to provide a means for sites to earn advertising fees by advertising and linking to Amazon.com. Stephen Tonkin is an affiliate of First Light Optics which provides a means for sites to earn commission by advertising and linking to firstlightoptics.com.